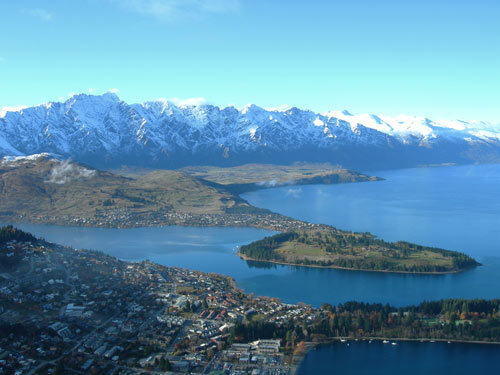 The Remarkables rise dramatically above Queenstown. At 2,324 metres Double Cone, on the left in this picture, is the range’s highest peak. The Remarkables ski field is situated on slopes facing away from Queenstown.